Mammograms for women over the age of 50 save lives, an independent British panel has concluded, confirming findings in U.S. and other studies. But the screening may come at a cost. The panel's review of breast cancer screening studies found that for every life saved, about three other women were overdiagnosed, meaning they were subjected to unnecessary treatments for a cancer that would never have threatened their lives. The expert panel was commissioned by Cancer Research U.K. and Britain's department of health and analyzed evidence from 11 trials in Canada, Sweden, the U.K. and the U.S.
"Because we can't yet tell which cancers are harmful and which are not, we cannot predict what will happen in an individual woman's case," Dr Harpal Kumar, chief executive of Cancer Research U.K., said in a statement. "We think it's vitally important for women to have access to clear information about breast screening, the balance of benefits and harms and the fact that they could be diagnosed with and treated for a cancer that might not cause them harm." The research review, published Oct. 30 in The Lancet, found the British program saves about 1,300 women every year from dying of breast cancer. According to the panel, routine breast cancer screening lead to a 20 percent reduction in dying risk compared to not screening at all. That means over the next 20 years, 43 breast cancer deaths would be prevented per 10,000 women over age 50 who are invited to get screened. However the review also found about 4,000 women are overdiagnosed, a rate of 129 overdiagnoses per every 10,000 women screened. By that term, experts mean women treated for cancers that grow too slowly to ever put their lives at risk. This is different from another screening problem: false alarms, which occur when suspicious mammograms lead to biopsies and follow-up tests to rule out cancers that were not present. The study did not look at the false alarm rate. Each year, more than 300,000 women aged 50 to 52 are offered a mammogram through the British program. During the next 20 years of screening every three years and the study found 1 percent of them will get unnecessary treatment such as chemotherapy, surgery or radiation for a breast cancer that wouldn't ever be dangerous. The panel's findings were summarized in an infographic from Cancer Research U.K.
"Cancer charities and public health authorities have been misleading women for the past two decades by giving too rosy a picture of the benefits," said Karsten Jorgensen, a researcher at the Nordic Cochrane Centre in Copenhagen who has previously published papers on overdiagnosis. "It's important they have at least acknowledged screening causes substantial harms," he said, adding countries should re-evaluate their own breast cancer programs. In the U.S., a government-appointed task force of experts, the U.S. Preventive Services Task Force, recommends women at average risk of cancer get mammograms every two years starting at age 50. 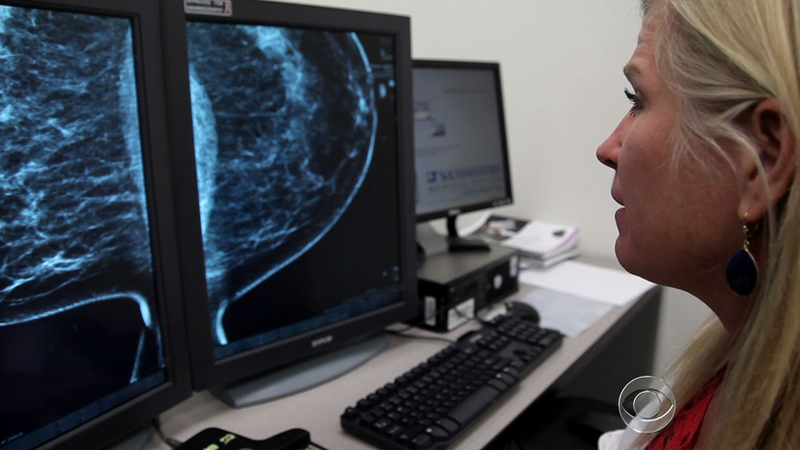 The decision to start regular, biennial mammograms before the age of 50 years should be an individual one taking a patient's risk into account along with the patient's values regarding specific benefits and harms, the panel said. The American Cancer Society and other groups however advise women to get annual mammograms starting at age 40. "I went into (screening) blindly without knowing about the possibility of overdiagnosis," said Wilcox, 70, who had a mastectomy several years ago. "I just thought, 'it's good for you, so you do it.'" Nearly 227,000 U.S. women will be diagnosed with breast cancer in 2012, according to the National Cancer Institute, and more than 39,000 women will die. Risk factors include age, family history, and genetics, but WebMD reports that 75 percent of all women who develop breast cancer have no known risk factors.